Nick Beardmore joined the Environment Agency in 1999 as a water baliff. Between 2006 and 2011, he also worked as a water sampler alongside his enforcement work. For the past five years he has been a full time fisheries enforcement officer. I remember a particularly wonderful sunset one July evening in 1976 like it was yesterday. 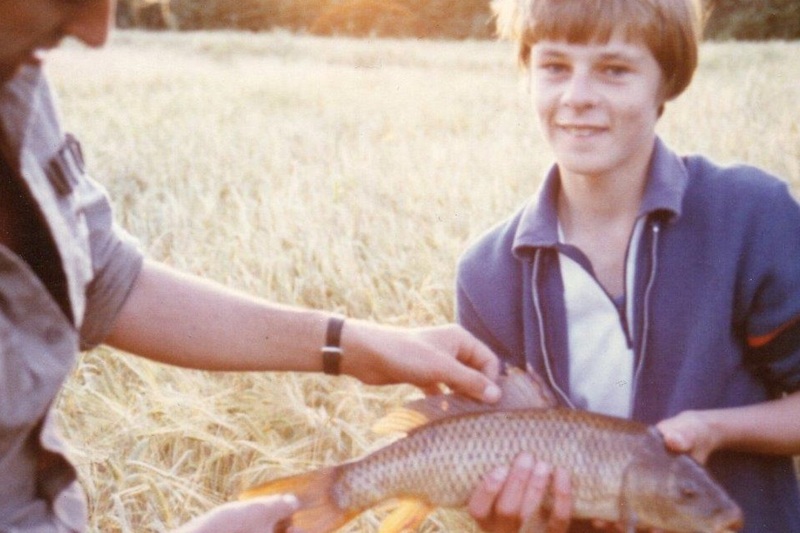 I stood as a 12-year-old, cradling an immaculate Wild Carp I had caught on bread flake from a remote North Norfolk farm pond, against the backdrop of golden hazy cornfields. Two moorhens paddled from the waters edge towards me, almost to congratulate me, as I marvelled at the bronzed scales of the carp. It was my first big fish and from that moment on I was a fisherman. I was lucky in that attending Sprowston High School in 1975 my teacher was none other than the renowned fisherman, author and angling television presenter John Bailey. Through his encouragement I developed a thirst for knowledge to seek out uncaught fish from remote Norfolk waters. I would look for pieces of blue on an ordnance survey map and cycle for miles on my bike and knock at doors of the aristocracy. Thanks to my boldness and honesty, I gained access to some exclusive Norfolk Lakes and Broads where fishing had not been permitted before. My love for the rivers of Norfolk continued to grow and I remember catching my first Pike from the clear waters of Horstead Mill Pool on the River Bure. I’ll never forget as I gently held her in the flowing current ready to swim off, how she majestically gave a kick of her tail, splashing my smiling face. I always knew I wanted to be a water bailiff and so in 1979, aged just 15, I sat through a panel interview with Anglian Water, which held the responsibilities of employing water bailiffs at the time. Sadly I was turned down due to lack of experience and so I parked my dream and embarked on a career in the computer industry for the next couple of decades. Twenty one years later “Door Knocker Nick” was back - this time knocking on the door of the Environment Agency who had taken over the employment of water bailiffs. Finally my dream was realised as I was given the job. Today my job as a Fisheries Enforcement Officer in the Essex, Norfolk and Suffolk area is very varied and I love it. The work covers the enforcement of byelaws such as fish removal and unattended rods, the regulation of the commercial eel fishery, salmon and sea trout fisheries and non-native species. I also deal with illegal traps, netting and set lines and performing fish audits to prevent diseased or illegal introductions. I have powers to arrest and detain, enter lands, stop and search, seize boats, vessels, vehicles and instruments and require the production of fishing licences. My role relies very much on an intelligence-led approach to target rod licence evasion and I work very closely with partnership organisations such as the police, The Broads Authority,and Natural England to carry out joint patrols. Fishing is the first love of my life and over the years I have introduced many friends and family to this wonderful sport. 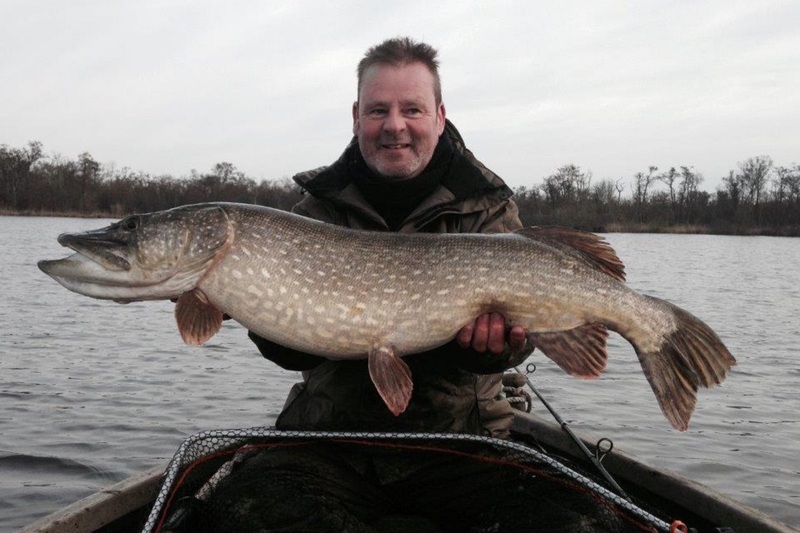 I’ve been privileged to catch some huge pike from the Norfolk Broads and rivers and have held a rod licence since I was a youngster in the 1970s. I will always buy a rod licence because the income this creates allows the Environment Agency to continue its fantastic work in improving and developing fisheries across England and Wales.